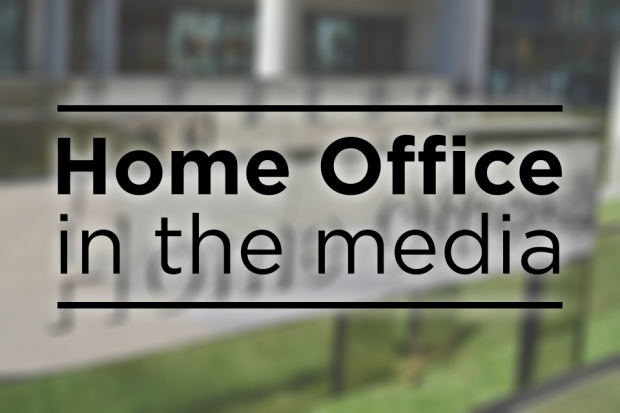 Today's Home Office stories include reports of cuts to Metropolitan Police murder investigation teams. Widespread coverage is given to new figures that show the Metropolitan Police’s murder investigations teams have halved in the last ten years. The statistics, obtained after a Freedom of Information request by the Press Association, were reported by the Telegraph, Express, Sun, Mirror and Star. They report that the decline – from 717 officers to 402 – comes despite a surge in violent knife crime in the capital. The BBC's Today programme also featured the statistics in its morning bulletin. The following Home Office lines are carried. Decisions about frontline policing and how resources are best deployed in London are for the Met Commissioner and the Mayor of London. The Police Funding Settlement provides the most substantial police funding increase since 2010 and will help police forces to meet the financial pressures they face next year, while also providing additional money for recruitment and neighbourhood policing, counter-terrorism, and fighting serious and organised crime. Met police funding will increase by £172m next year if the Mayor of London increases council tax precept by £2 a month for a typical (Band D) household.